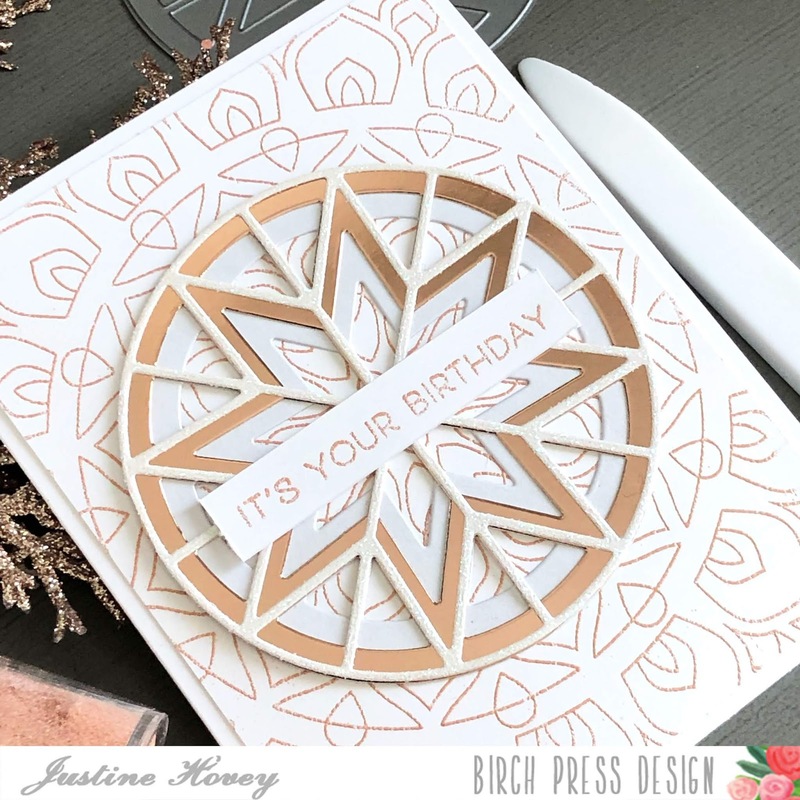 Today I am sharing a birthday card process video that features one of my favourite cardstock combinations ever! These neutral colours create an elegant look that is subtle. 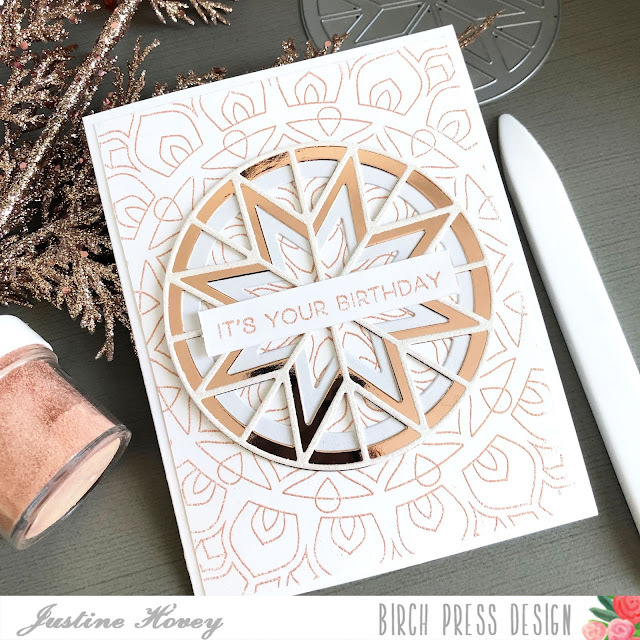 I began by heat embossing the Mandala background using Rose Gold embossing powder by The Ton. This is one of my favourite powders of all time! I then die cut the Stargazer Layering Die using Pearlescent, Platinum Gold and Sugar Crystal cardstock. I adhered these using Stick It adhesive which comes in handy when gluing intricate dies since it just peels off to create a sticker. Lastly, I embossed the sentiment It's Your Birthday from the Best Friend Clear stamp and attached it onto the front of the card. I wanted to keep the sentiment small and simple since the die is definitely the show-stopper on this card! I was looking for my company Assignment Help Online a Birch Press Card Designs for a festival of my company can you design for me?